Help coaches keep team rosters and statistics organized and at hand! 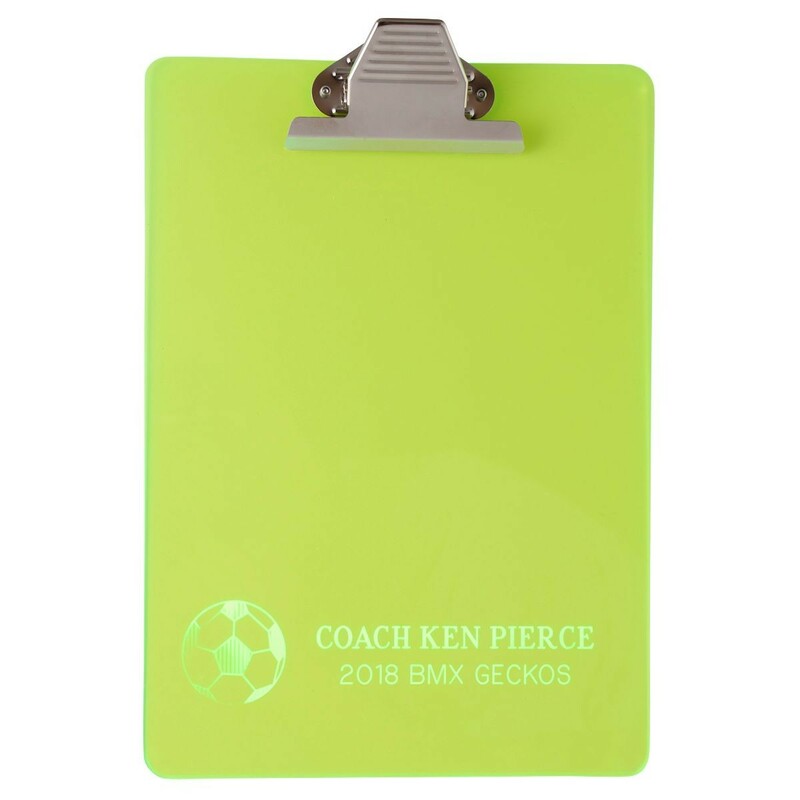 This Green Engraved Coach Clipboard is a practical way to let a coach know you appreciate him or her. The bright green color makes clipboard easy to find! Extra-large size holds even the longest score sheets. Buy now and surprise your coach with this green clipboard at your next game!